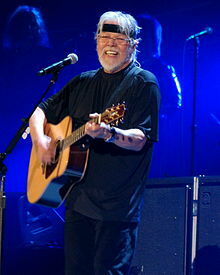 Robert Clark "Bob" Seger (born May 6, 1945) is an American rock musician and singer-songwriter. 2 + 2 = ?. You can listen to the engine moanin' out its one-note song. When you're ridin' sixteen hours and there's nothin' much to do. Out there in the spotlight you're a million miles away. Every ounce of energy you try to give away. Later in the evening, as you lie awake in bed. With the echoes from the amplifiers ringin' in your head. You smoke the day's last cigarette, rememberin' what she said. I'll take my chances babe, I'll risk it all. I'll win your love or I'll take the fall. I've made my mind up girl it's meant to be. Someday lady you'll accomp'ny me. This page was last edited on 30 August 2018, at 19:44.